Chase Resource is the Authorized Distributor / Installation Partner for Tube-Mac Piping Technologies Ltd.’s (TMI) range of Non-Welded/Non Threaded Piping products for the ASEAN – India – Middle East markets. 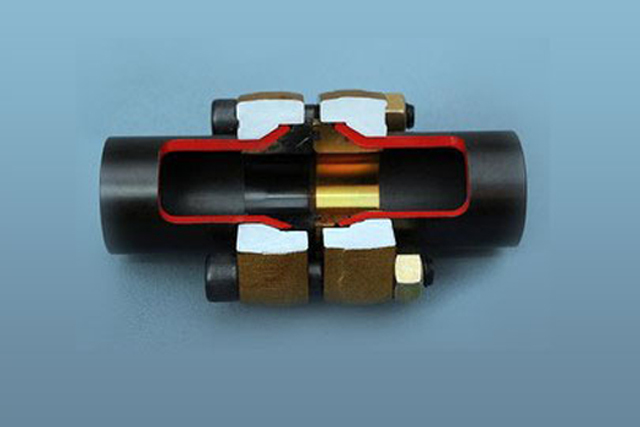 Non-Welded piping is an evolution in piping connection systems where no welding is required with no compromise in the strength of the piping system. This technology has brought relief to many organizations in the world in terms of safety, cleanliness, time constraints and a lot more. A non-welded system for high-pressure piping reduces the time required for each connection. It is used for hydraulic pipe applications including pipe grooving and threadless fittings. Non Welded Piping Technology is clean as there is no welding. There is no problem of weld contaminants remaining in the hydraulic system and damaging the hydraulic machineries due to improper flushing. Non-Welded piping inherits a lot of cost benefits. The supporting proof is that it does not require any skilled or specialized labour (based on the materials like CS, SS, and CuNi), since an unskilled person with installation knowledge of the Non-Welded fitting can easily carry out the assembly. Skilled welders are very scarce and they demand huge remunerations which is a burden to any organization. Implementing Non-Welded technology will comfortably solve the above problem. Weld joints require the pipe to be acid flushed to remove the impurities and post that be inspected by x-ray test, DPT or ultrasound. These processes are not required by or applicable to Non-Welded system since they are clean and are joined by reliable /proven seals. Non-Welded is cost effective over the entire-life cycle of the piping system; since it is cheaper to repair due to the use of seals. Non-Welded Piping technology is a safe and secure method for assembling pipes; since there is no hot work, there is no question of any hazards. There is no need of obtaining safety permits or evacuating sensitive equipments in the vicinity of the work area which is tedious. There is also an advantage of avoiding any disruption of important activities like bunkering, tank smearing etc. There are also no process hazards like exposure to radiation in the case of welding. Reduced Installation Time : Pre-Fabricated Non-Welded Piping System are quick to install as the Pipes are already fabricated, cleaned, flushed and painted at the factory. It involves only installation of the prefabricated piping spools at the site. Conventional Welding involves fabricating on-site which is time consuming. Also, after welding at site cleaning and painting is still required and all these processes can create a mess in a laboratory environment. Welding also creates a potential for fire and smoke at site which is not ideal. Pressure Testing – for a non-welded system pressure testing is completed with the system oil and HPU’s prior to flushing activities. If any leakages are detected (due to improper flange assembly by installer) at the flange connection then all that is required is dis-assembly, new O-rings and re assembly. For a welded system if leaks are detected then pipe needs to be fully emptied and oil removed. Then grinding and rework of the weld is applied. This process to fix a weld is significantly longer to complete and more common to happen compared to a non-welded joint. Even after flushing a welded system there is no guarantee that all the slag or scale has been removed so overtime this can break loose and cause expensive damages to the sensitive servo valves, pumps and actuators. Rotatable Flanges – In Non-Welded Piping the flanges can be easily rotated as opposed to Conventional Welding where the flange orientation is fixed. Hence fabrication and installation is simple in Non-Welded Piping as the fabricator or installer does not have to worry about the orientation of the flanges during fabrication or installation. In the case of a pre-fabricated system all that is required on site is arranging/setting the assemblies and connecting the joints. This process required less equipment/power/labour at site and is completed faster than welding process. 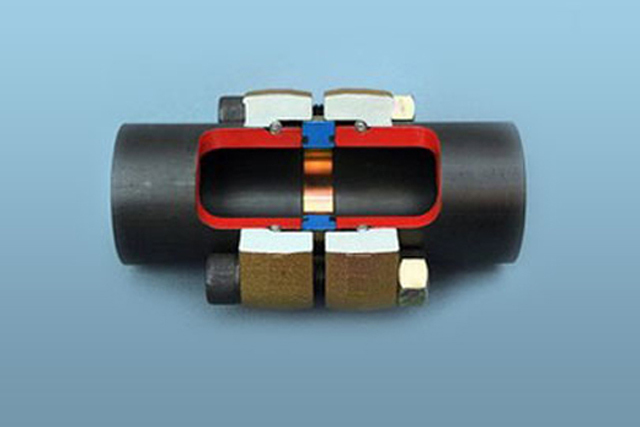 Removable Flanges – In Non-Welded Piping System as the flanges are not fixed on the pipe they can be easily removed out of the pipe and can be used on another pipe (in the case of Retain Ring Flange System) whereas in Welded Piping System the flanges have to be skilfully gouged out and prepared before using onto another pipe. 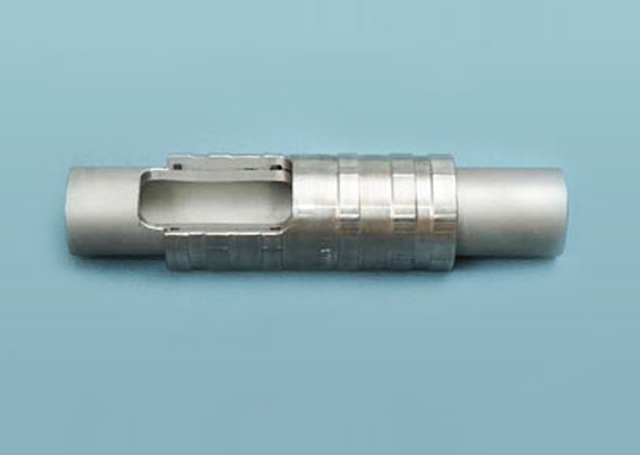 Certified Product – The connections in the Non-Welded Piping system are reliable as they are approved by major classification societies like DNV/LR/ABS and inspection of the fabricated joint is easy and inexpensive. In Conventional Welding System, reliability cannot be assured in case inspection is not done by using expensive inspection techniques like Radiographic Test. Better Vibration Resistance– In Non-Welded Piping System the sealing is done through seal carriers (Flare cone or Seal Retainer) as opposed to Conventional Welding system where sealing is at the flanges. Heavy Vibrations have a high impact on Welded System Flanges as the flanges are fixed which is not the case in Non-Welded System where the flanges can flex. Furthermore, since the orientation of the weld flange in the spool cannot be changed, they are likely that they are forced into place to match the mating flange applying additional loads on the weld leading to premature failure. Hence there is probability of Welded System Joints failing at high vibration loads. Preferred Method - Non-Welded is a generally accepted and preferred method for Hardline Piping connections in laboratory and testing industries due to the proven long-term durability and cleanliness it provides compared to welded joints.